Major General Khaled Shalaby is the Director of Security in the governorate of Fayoum. 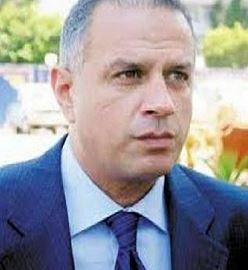 Prior to his current appointment, Shalaby served as Director of Police Investigations for the Giza General Directorate, and was previously the deputy director of the same department. He rose through the ranks in Alexandria, where he was a precinct chief and later Director of Investigations for the governorate. While serving as Director of Investigations for Giza, Shalaby oversaw the preliminary inquiry into the controversial death of Italian Cambridge University student Giulio Regeni. In the wake of the incident, Shalaby claimed that Regeni had died in a traffic accident, but an anonymous source later told Italian newspaper La Repubblica that Regeni had been placed under surveillance by Shalaby and then arrested and tortured on his orders. While little evidence is available to substantiate the version of Regeni’s murder in the La Repubblica article, and Italian newswire service ANSA refuted its claims, the accusations pulled Shalaby into the spotlight. Shalaby’s role in the Regeni investigation brought to light Shalaby’s 2003 conviction by the Alexandria Criminal Court for his role in the death of former detainee Farid Shawki as well as for falsifying official documents. Shalaby received a suspended sentence of one year after he was found to be complicit in the abduction, torture, and strangling of Shawki in 1999. Shalaby, who was a lieutenant colonel at the time of the crime, returned to work and was consistently promoted in the following years, without any apparent effect on his career. In 2011, activists and families of protesters who had been killed during the January 25 Revolution accused Shalaby of killing demonstrators when he was serving as Deputy Director of Investigations for Alexandria. No specific evidence was produced, Shalaby was not tried for any crimes, and his promotion to Director of Investigations for Alexandria went through. Shalaby has received news coverage for overseeing investigations in several criminal incidents. Among other events, Shalaby led an inquiry into the December 2015 firebombing of an Agouza nightclub, which did not have any political overtones.